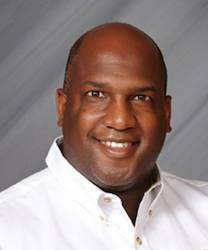 Dr. Vernell Johnson is the interim Medical Director at Presence St. Joseph Medical Center in Joliet, IL. He is also the Clinical Integration Director for the Franciscan St. James Health Emergency Departments in Chicago Heights and Olympia Fields, IL. Dr. Johnson has served numerous roles within the Franciscan Alliance system, including serving as the house-based Chair and physician liaison between the hospital ED physicians and the community. He sits on the Clinical Operations Group, Medical Executive Committee, and other integral hospital operations. Dr. Johnson received his medical degree from the University of Texas-Southwestern Medical School in Dallas, TX. He completed his emergency medicine residency at the University of Illinois-Chicago in Chicago, where he served as Chief Resident. Dr. Johnson is board certified in emergency medicine and is an active member of the American College of Emergency Physicians. Dr. Johnson lives in the local community where he is involved in educational and outreach programs. He is married and two children.